Nine cool tools—just for us! We already love Amazon for its ability to get new novels to our Kindles in seconds, birthday presents to our homes in less than a day and for the hours of streaming TV it provides in our off hours. But our love for Amazon only grows as it continues to provide services and solutions especially for teachers! 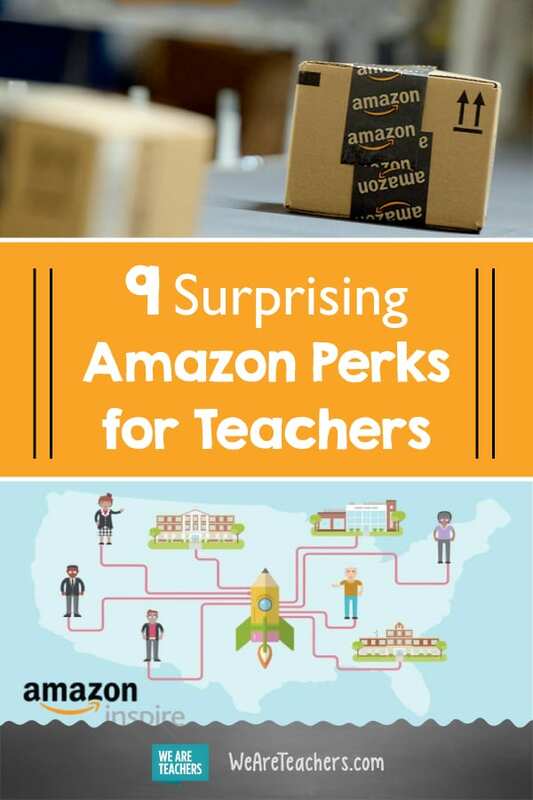 Check out these 9 awesome Amazon perks for teachers. Working on your advanced degree and in possession of a .edu email address? You qualify to for Amazon Prime Student for six months! You will receive all the fabulous Prime goodies, such as free two-day shipping, Prime Video, Prime Music, referral bonuses, unlimited photo storage, discounts and other special offers. 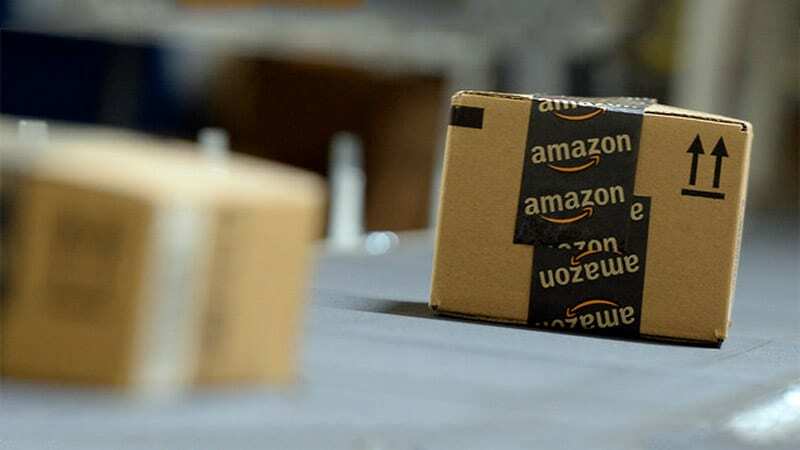 After a six-month free trial, it’s just $49 a year—half the price of a regular Amazon Prime membership. Finding and distributing e-books to your students’ devices is made easy with Amazon eBooks for Education. Rather than purchasing (and storing!) 35 individual copies of Where the Red Fern Grows, you can simply sync the book, or any other of the millions of content choices in the Amazon library, to your students. It is easy to create groups for different classes and reading groups, too. Make your original education content and products available to educators on the Amazon marketplace through Amazon Education Publishing. You can publish and sell books, ebooks, audiobooks, and videos while retaining your creative control and owning your copyright. For every purchase you will earn royalties. Register your school and your PTA/PTO with Amazon Smile and with every purchase your school community makes, Amazon donates 0.5% of the price back to your school. PTA/PTOs can sign up too! 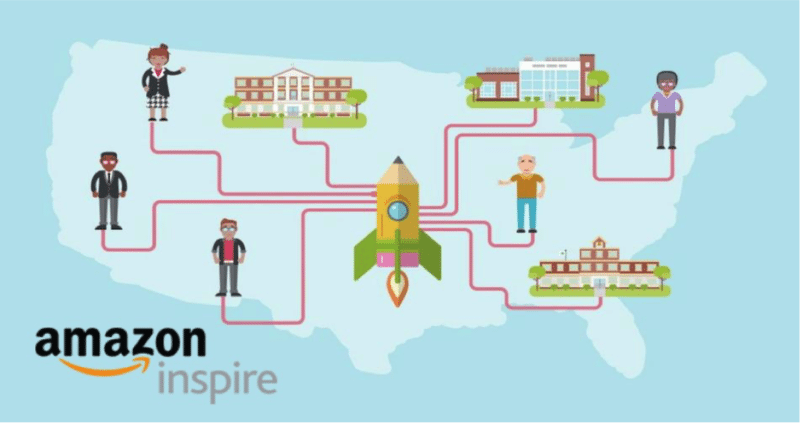 Amazon Inspire is an open collaboration service that allows teachers to share digital resources. It’s similar to TeachersPayTeachers, but bonus! All the lessons are free. Administrator must do: Sign up for Amazon Business for Education and get tax-exempt purchasing, discounts and free two-day shipping on orders of $49 or more. You can enroll multiple teachers, admins, and staff, and create approval workflows and purchase orders for easy tracking. If you have a blog or a popular social media presence in which you recommend products for readers, be sure to sign up for an Amazon Associates account. For every purchase your readers make using your affiliate links, you can receive a commission anywhere from 4 percent on books to up to 10 percent on downloads. Your commission will be directly deposited monthly. AWS Educate is Amazon’s global initiative to provide students and educators with the resources needed to accelerate cloud-related learning. AWS Educate provides students and educators with access to free content, training, collaboration portals, and access to AWS services. With the increasing demand for cloud employees, AWS Educate provides an academic gateway for the next generation of IT and cloud professionals. If you’re still not convinced that you need Prime, at least try it for yourself. Your first 30 days of Amazon Prime are free, include all the benefits at no charge, and you can cancel any time … even on Day 30. You’ll get super-fast free shipping on millions of items, video streaming of popular movies and TV shows, over two millions songs for all your devices, Amazon Unlimited reading on any device, and all those awesome perks for educators listed above. I sent the information below, but I have not heard of anything. I am very happy to inform you that you are a winner in our PepsiCo Recycle Rally giveaway. Please reply to this email to confirm the mailing address that you would like the t-shirts sent to. We will be sending you the gift card electronically to this email address. Look out for an email from InCheck, our fulfillment partner.